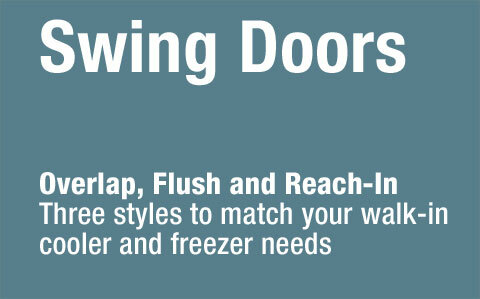 R-Plus Cold Storage Doors meet every need for swing, horizontal sliding, and vertical lift doors from foodservice walk-ins to commercial cold storage applications. Custom designed R-Plus cold storage doors meet every cold storage need and special application. R-Plus Cold Storage Doors for Walk-in Coolers and Freezers provide the highest insulating values in the industry, whether they are new or replacement doors. Doors are available in almost any size and are perfect for walk-ins, warehouses, processing plants and food distribution facilities. Door panels are foamed in place polyurethane injected in a controlled environment. 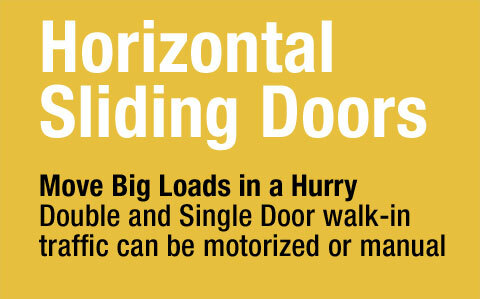 Larger doors are built in sections and cam-locked together on site. In the event of damage, individual sections can easily be replaced to minimize repair costs. You can be sure that R-Plus cold storage doors meet the Energy Independence and Security Act 2007 (EISA) requirements in effect since January 1, 2009. 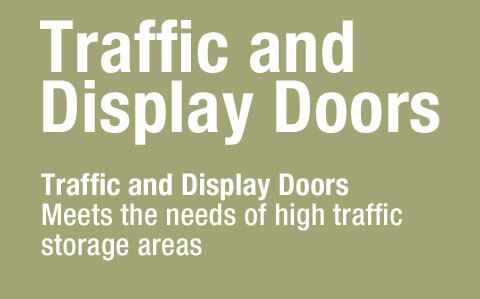 Read Door Buzz And Keep Up With R-Plus Doors: We provide a full Point-By-Point overview that answers the most common interests. 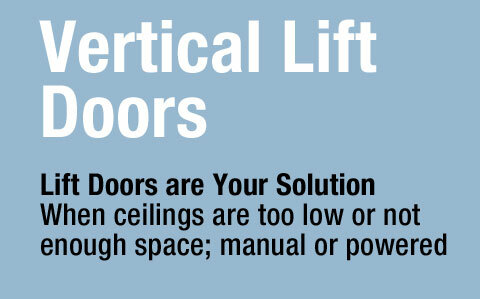 Our R-Plus sales people and reps are fully familiar with these solutions. R-Plus Cold Storage Doors can be designed into any of our coolers or freezers, or they can be added to existing installations. Check our wide range of finishes, or use our R-Plus Resources Section for manuals, order worksheets, warranties, and other important detailed information.